If you run your own website or blog, then I’m sure that you will be interested to learn more about SEO. It is, after all, one of the best ways to drive traffic to a site. Now if you search online, there is a lot of conflicting advice on the subject – some of it good and some of it bad. The only tips that you should be following are the ethical SEO tips that actively help your site, without abusing the system. For some people, SEO has a pretty poor reputation online. It can be seen as a way to somehow “cheat” the system or gain an unfair advantage over rivals. This isn’t helped by the fact that there are some people (a small minority) that do try to abuse the system to further their own cause. This has led to some to even suggest that search engine optimization be called something different. The simple fact is that SEO can actually be used ethically when done right. Search engine optimization is simply a way of getting your content to the most people possible. Search engines are the number one method of driving traffic to a site, so it makes sense to make the most of them. People have given a bad name to SEO by using negative techniques (or Black-Hat SEO) that abuse search engine rules, such as; keyword stuffing, invisible text, doorway pages, etc. They do this to try to boost their rankings quickly, but the joke is on them as these methods only tend to work for the very short term, if at all! Thankfully, Google and others are cracking down on websites that abuse these rules, which is great for the rest of us that pride ourselves for following the rules. You have to remember that search engine optimization is a long term strategy for your site. There is no “quick” way or “short cut” to success, so you are better off optimizing your site for long term results. Ethical search engine optimization is a term to describe all the good techniques and tips that you can use that are not in breach of search engine rules (or White-Hat SEO). There is nothing wrong with optimizing your posts and pages to rank higher, as long as you do it right. All search engines want to do is provide the best quality content to their users, as this is how they make money. To do this, they need to look at sites (by crawling them) and establish what a post/page is about. Optimizing your pages helps search engines to identify what your content is about, therefore enabling them to show it to the right people who are searching for it. 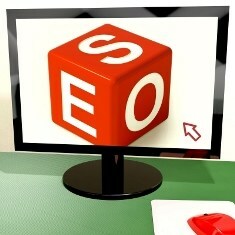 So now we know that ethical SEO is the right way to go, how do you go about optimizing your posts? One of the key aspects of SEO is keyword placement. Whilst these are all good places to include your keywords/keyphrases, it is VITALLY important that you don’t overdo it. Don’t place too many keywords in these places, as you risk keyword stuffing, which is bad! A good rule of thumb is that keywords should not exceed about 3% of your overall article. Think of your keywords as simple sign posts that help tell people what your post is about. That way, you don’t need to go overboard with using them. A great WordPress plugin that you can use to help you monitor your keyword density and other on-page SEO is the ‘WordPress SEO by Yoast’ plugin. Now SEO is not all about keyword placement. Search engines also look at things like post frequency, social media interaction, and PageRank. But for the purpose of this post, this is what I will be focusing on. Another good ethical rule to remember is that things should always be relevant to your content. Whatever keywords, keyphrases, internal links, external links, videos, images, etc. that you include in your posts, they should be relevant to what you have just written. For example, if I were to write an article about a certain actor, let’s say Matt Damon, then linking to reviews of movies that he has been in would be totally relevant, therefore justifiable. If on the other hand I started including links to some car selling site, that wouldn’t be very relevant. Search engines look at the terms, phrases and links that you use in a post to see if they are all connected in some way. If they aren’t (as in the example that we just looked as) then they may suspect some dodgy behaviour going on on your site. If you think about it logically though, you only want to be providing the best quality content to your visitors anyway, so why would you use/link to unrelated things. Ethical search engine optimization isn’t too hard to get your head around. Just remember to follow search engine guidelines and not abuse the system. It can actually be more beneficial to concentrate solely on writing for your readers, as ultimately it is them that will determine whether your site is a success or not. Plan out a long-term SEO strategy for your site and work at optimizing your site ethically. It is much better to work with Google rather than against them! What other ethical SEO tips do you use that I haven’t mentioned here? Do you even do SEO on your site and if not, why? Do you have a positive or negative view of SEO? Please let us know your views by leaving a comment below! Yet another excellent post from Matt Smith about SEO. And I must say to all readers of this site Matt really is an authority figure on this matter, his knowledge about it is superb. I’ve learned a lot from his other articles and advice on SEO. I think a lot of people have definitely “abused” the system for so long with over pumping the keywords and irrelevant links and low quality posts just to boost their rankings, I don’t blame google for operating a more tighter ship now. Yes, there are (still) too many sites that abuse the system, but it’s daft because they aren’t really getting any benefit from it. Search engines are trying to crack down on sites that are seen to bend the rules, so that behaviour only ends up harming your site long-term. It’s much better to work “with” search engines. Excellent post, relevancy really is the key. For too long people have tried to publish pap and then link to some kind of non related affiliate product. You can understand why Google got the hump, anyway, as you say write quality posts for the readers and link to relevant articles and products and you are on your way to being rewarded. Relevancy is definitely the key, something that I’m sure we will hear more about in the coming months from other SEO sites. Anything that isn’t relevant should either be left out, or at the very least, include a rel=nofollow tag so that the search engines won’t look at the linked content. I welcome the changes by Google, hopefully it will make the internet a much better place to be. Wonderfull post indeed, You’ve shared some valid SEO points that we should follow on our website or blog. I know lot of site owners not doing SEO in the right way and the result their site ranking suffer. If we want to rank high on search engines then we should follow all SEO rules. Yes, I see many sites that don’t optimize their sites in the right way. I can understand it when sites don’t optimize, as they may just not know how too, but it’s the ones that go over the top (i.e. Keyword stuff) that annoy me. It doesn’t benefit anyone. Your right, if you want to rank high in the SERPs people need to follow the search engine rules. Much better for long-term results. keep it coming have a great day ahead ! Great to see some common sense tips on SEO. They are a lot of very bad posts on the subject and it’s good to see one that’s talking sense. These are really ethical SEO tips Matt. But according to me the trend has changed since few months. Now the basic SEO doesn’t work anymore. You need to do some extra things to bring decent amount of traffic to your blogs post, especially from Google. And I’ve seen many times, infact most of the times many irrelevant posts coming in top in SERPs. Yes, SEO is changing all the time. These are just some of the things that you can do on your site to help boost your rankings. There are many other factors that you can use, especially off-page SEO. The point of the post was to highlight that it’s important to work “with” Google, rather than try to get around them by manipulating the system. Believe me, there are still sites that are trying to bend the rules, which is pointless in the long run. SEO is a long term strategy to attracting traffic, so it’s much better to go with what the search engines recommend. Matt this was a great post, as a matter of fact it was a post I should have written to my peeps, so I posted a link back to here for them in an upcoming post. I call that working smarter, not harder! I totally agree with everything you said and do all of the SEO you talked about here on every site, page and post I create. WP SEO is indeed a cool tool. Thanks a bunch! WordPress SEO is definitely a great plugin to use. I make use of it a lot on my posts. You don’t have to optimize every point that it suggests, but the more the better. It’s just a good guide to work from. I totally agree. The most important part is always making sure that your content is of a high quality. That is, after all, why people will want to read your posts. That said, it can be good to go over a post (when you are happy with it) and look to optimize it. Simple things like changing a few keywords/keyphrases or optimizing your H1, H2 tags, etc. can make a big difference. Nice explanation of what is ethical SEO and how it should be done by optimising the pages. I agree that a lot of negativity is associated with SEO but with ethical practices, it shouldn’t be that way. It is a shame that SEO is view negatively in some circles. Unfortunately some people have abused the system and tainted its name. However, if done right (and ethically) SEO is a perfectly acceptable way of attracting traffic. As long as you don’t go over the top and continue to focus on producing quality content, SEO can be a good thing to use on a site. Good post Matt. There are always two ways, shortcut and lengthy, should choice the the ethical way for long term success. In life, not just business, spending time to do things the right way will always benefit you in the long run. Trying to cheat the system will only end up coming back to bite you. SEO, a term which is lill bit confusing. But using h1-h6 tags and keywords will make your posts good for optimization in search engines. SEO can be difficult to understand at times, especially when they seem to change the rules every week. That said, it still pays to follow ethical guidelines where you can. It’s much easier to work “with” the search engines rather than “against” them. Thanks a lot for sharing that informative post. I think you should write for your readers always. Keep them first on the list and Search Engine Traffic second. That’s how we build a better blog. Right? Yes, definitely! Your readers should ALWAYS come first when managing a blog. SEO is just a way of helping that post reach more people. I tend to optimize my posts after I have written them out, that way I know that I put my readers first. Wonderful post.. In order to start a successful SEO strategy is to start an ethical SEO approach on our website. Also, ethical SEO is about engaging in the community within your chosen niche and acquire relevant and high quality links, Thanks for sharing your knowledge with us. I was looking for someone to do SEO for my blog but i was worried if something wrong happens.But now i think i can do it myself.Thanks for some great helpful content.